Learn how to light up your deck all while saving money on energy and adding value, safety, and security to your home. Are you building a deck for your home? Do you already have a deck, but it’s lacking a little something? 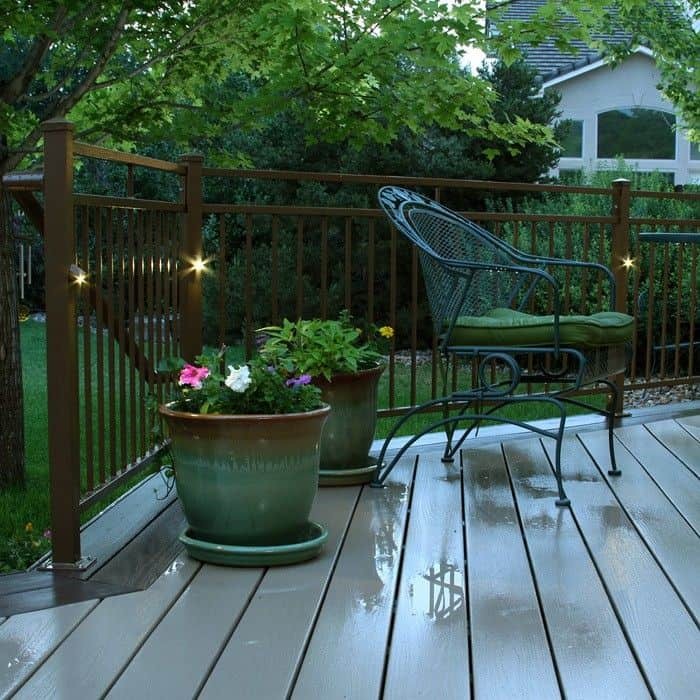 Are you a DIYer who has endless ambition toward improving your outdoor decks and fences? Have you considered LED post caps and other venues of outdoor lighting? Lighting is a major factor in DIY home projects especially for outside decks, porches, docks, and fences. These home components are visible to the world, so why wouldn’t you want to it to look its best? However, as a DIYer, you not only want something that looks good, but you want something that actually works and is easy to install. 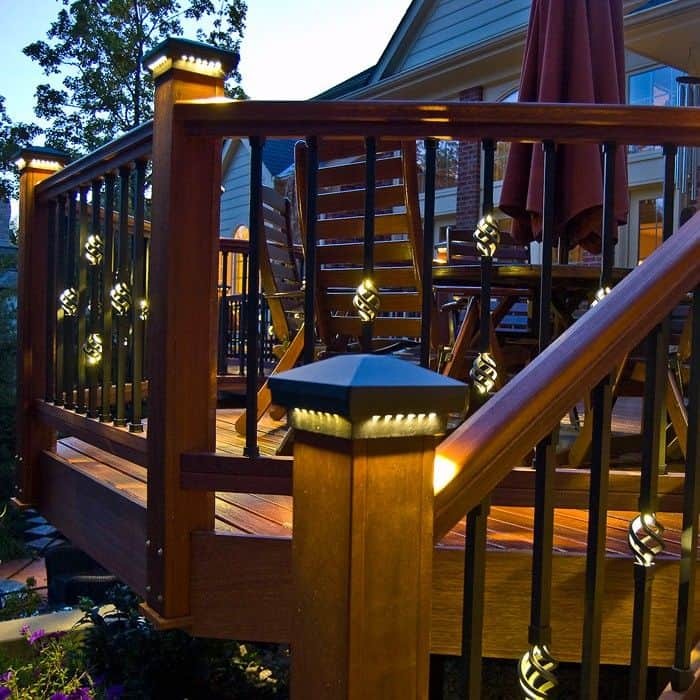 DEKOR Lighting supplies a multitude of beautiful, plug-n-play, functional products for DIY projects, including LED post lights and LED post caps, which are critical to lighting your home’s outdoor decks, porches, docks, and fences! The use of these products are abundant, and many special features and components are included in DEKOR Lighting’s products that are not only used in the United States but are used around the world. DEKOR Lighting has been lighting the world for 16 years and counting! Lights look great. Day and night are both now pleasant. Thanks for your help. DEKOR Lighting, a leading company in the LED lighting industry, knows the importance of a quality, beautiful product that works for all ranges of skill levels from DIYers to the professionals. Every product is backed by extensive testing and analysis, and all products are manufactured in-house to the order in the United States with their home located in Denver, Colorado. Tom / East Hampton, Connecticut, who has utilized DEKOR Lighting’s post caps. 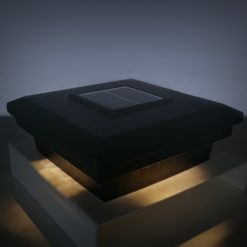 Order LED Post Caps by Dekor NOW! When you come home after work every night, be welcomed by the warm touch of decking post lights and feel the magic every time the sun goes down. 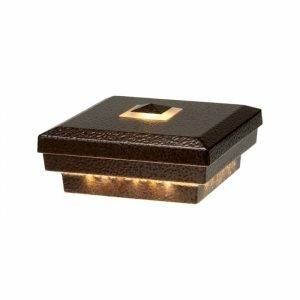 Deck lighting controls the mood of any outdoor space and adds to your neighborhood curb appeal. Deck post lights come in many shapes and sizes to fit your project needs. 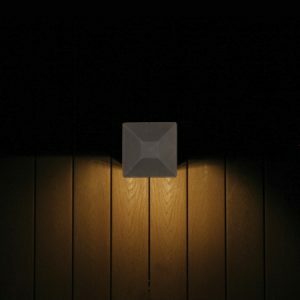 DEKOR Lighting’s petite post lamps are versatile LED lighting components originally meant to be used for deck posts. However, DEKOR has designed these simple, yet elegant, gadgets to be used as wall lights or soffit lighting. DIYers will find many other uses including indoor functions. Install on the fireplace for extra romance, or impress the guests and install in your living room’s entertainment console for a spectacular effect. These lighting kits come in packs of four and they have the capability to rotate 360 degrees and have complete control where the lamp posts shine. 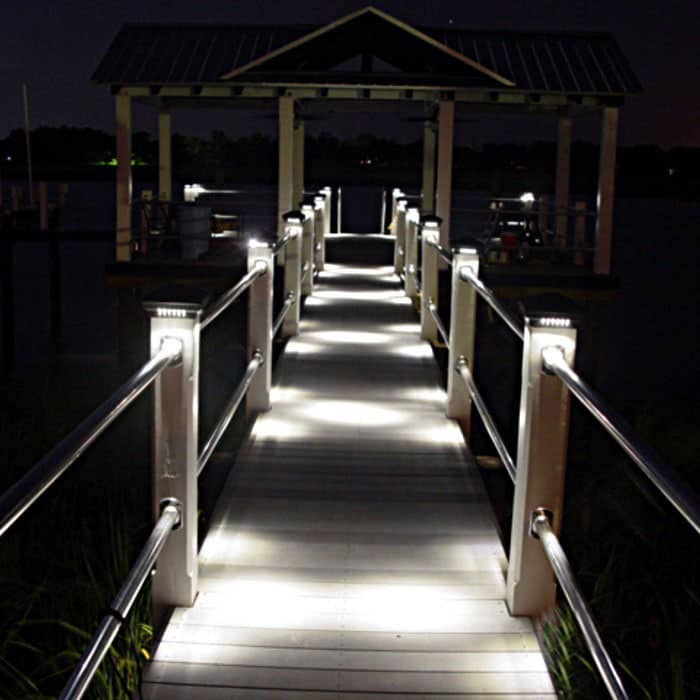 These LED decking post lights are easily installed into a plethora of locations. All it takes is drilling a half-inch-deep hole using a custom forstner bit that is provided with this product. 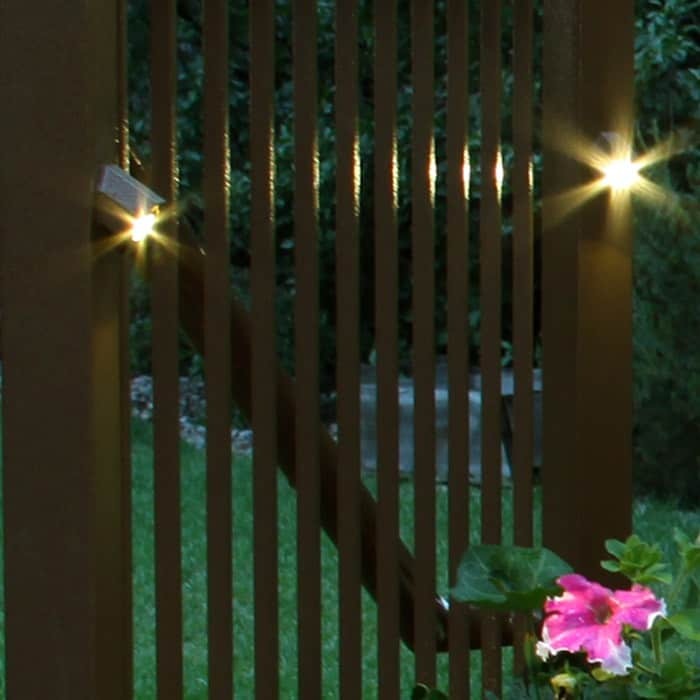 Add a touch of light using these multifunctional LED decking post lights indoors and outdoors. 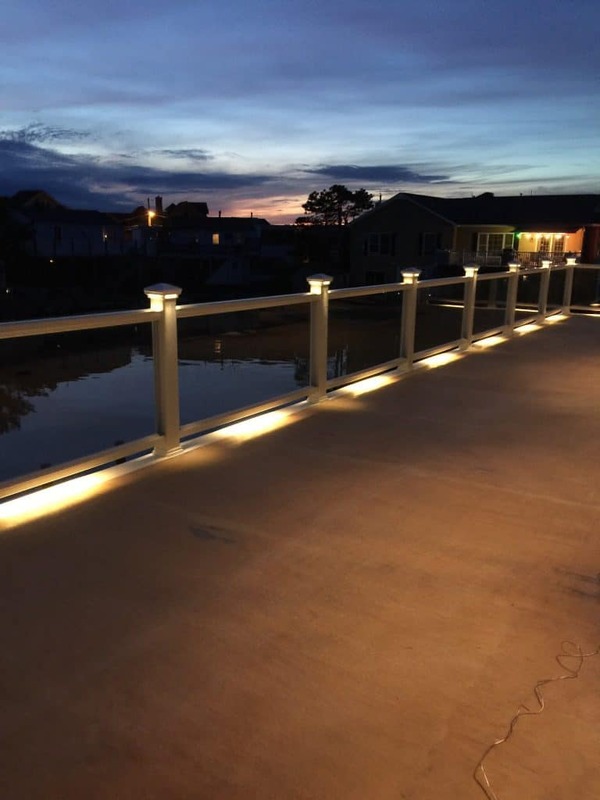 Protect and project beautiful imagery with LED deck post caps for decks made of any type of material. These aren’t just your typical LED deck post caps. 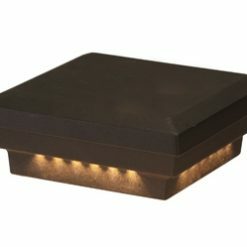 DEKOR Lighting’s LED deck post caps are beautiful heavy-duty must-have components to a perfect deck. Adding a deck to your home or improving your existing deck not only adds to the resale value of your home, but adds to the overall enjoyment and atmosphere to any residence. 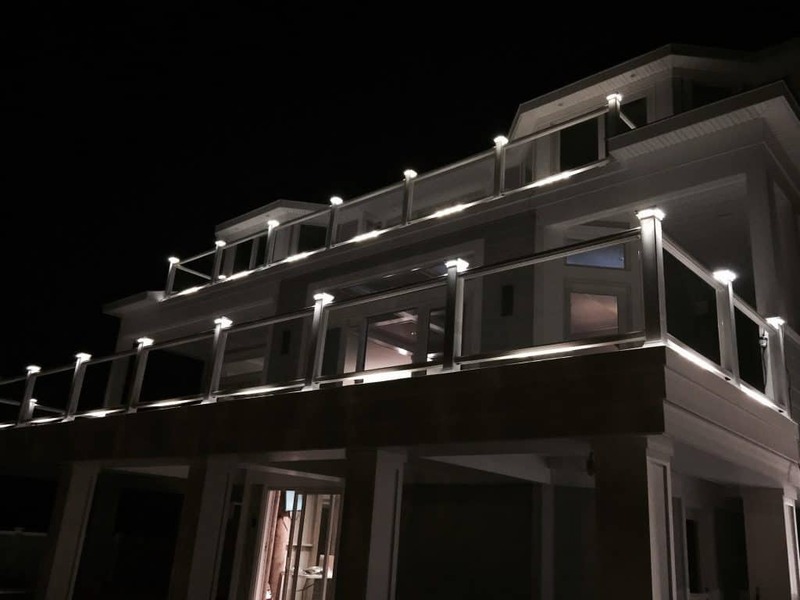 So whether you’re having a family function on the deck or spending some alone time with a book, you will never be left in the dark with LED decking post lights. 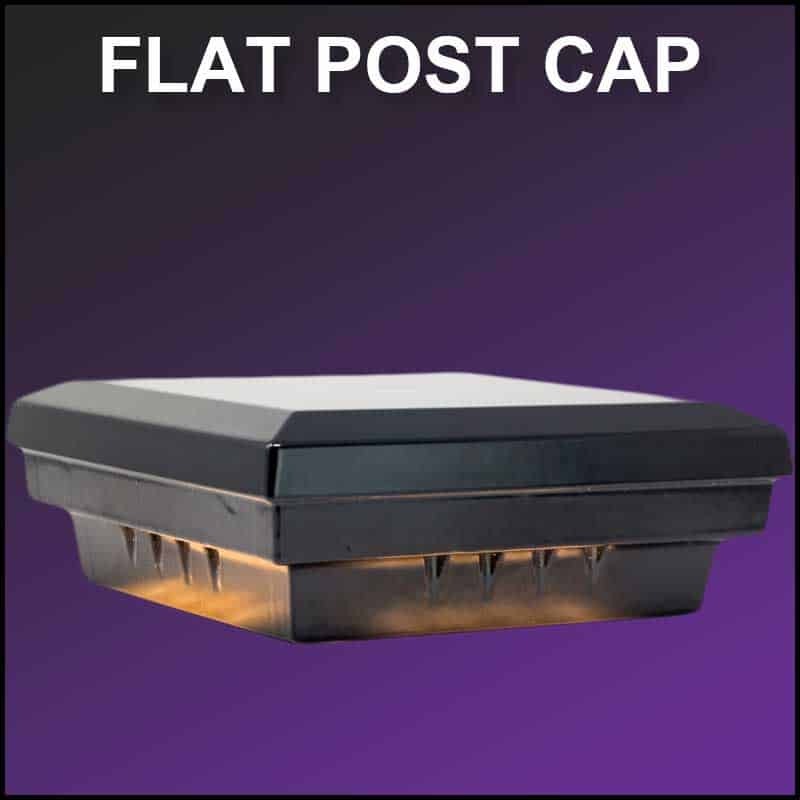 The multifunctionality of the state-of-the-art manufactured DEKOR post caps do not stop at just decks. DEKOR’s post caps are a great addition to a variety of fences. 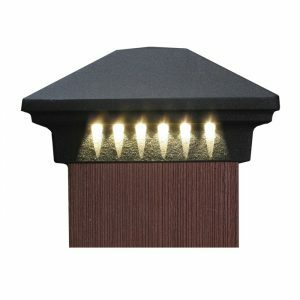 The LED fence post caps offer an extra installation of protection and beauty. The first thing a passersby and visitors notice on any property is the fencing. Of course, you have the nice, structured fence to add security and décor to your property. 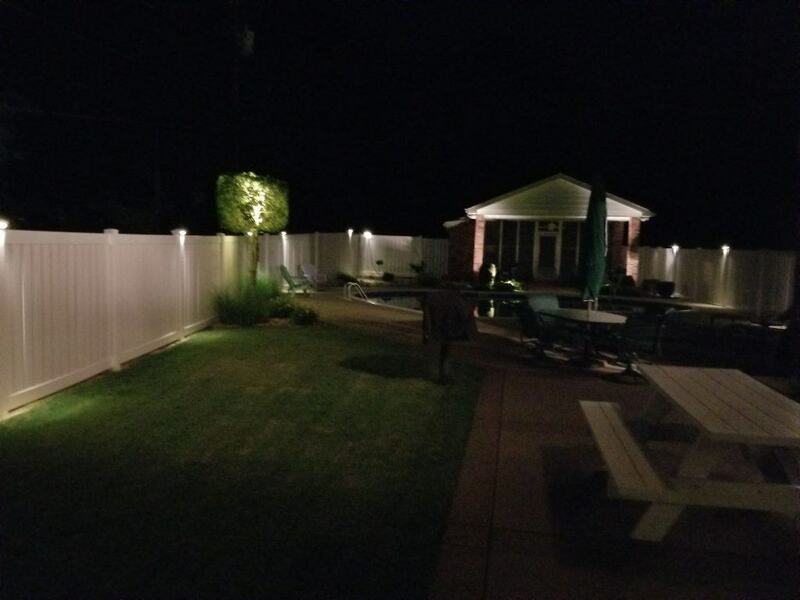 But imagine the fence being illuminated by energy-saving led lights that add additional beauty and security to not just your property but to the whole neighborhood. Homes with high curb appeal tend to have a higher market value and sell much quicker than a home without much curb appeal. And odds are you put in a lot of money and time into your fencing! Protect your investment with LED fence post caps against the elements and avoid rot, cracking and weathering on your fence posts, which are the foundation of your entire deck. Curb appeal is essential and accessible to DIYers! The project will keep you busy, and the results are phenomenal. 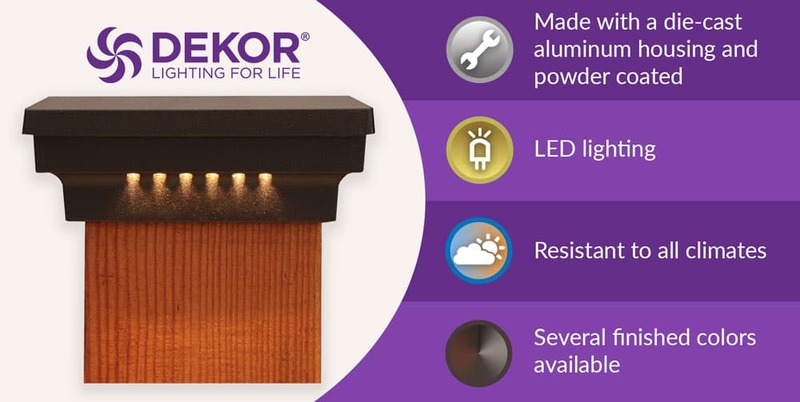 The lighting kits and LED fence post caps offered by DEKOR Lighting are designed just for DIYers. All products manufactured and produces by this company are built with plug-n-play components for easy installation by DIYers that have quality technology preferred by the professionals across the country! See how our valued customer, Robin Kinney, added the finishing touch to his home with LED Post Caps. Illumination with outdoor LED post caps isn’t just for looks! Illumination outdoors is a safety mechanism used by families everywhere! 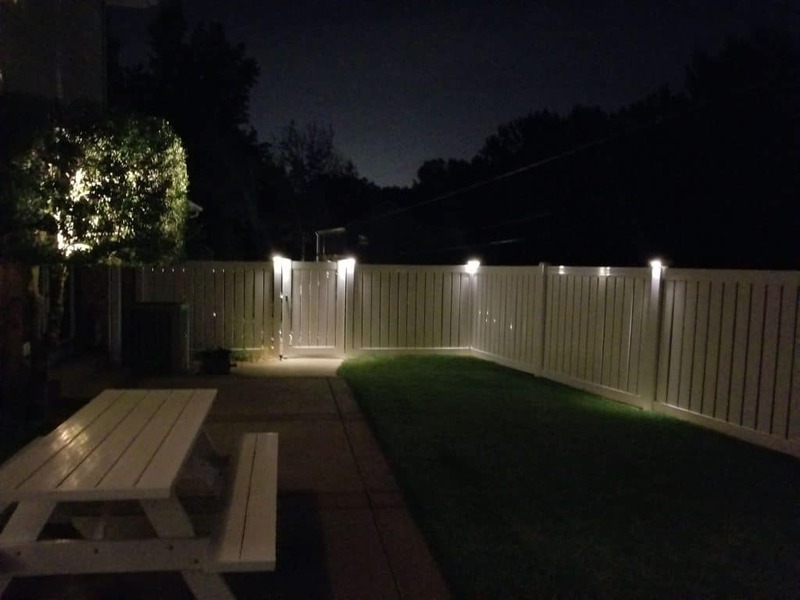 Install outdoor LED post caps to almost any fence that has 4X4 or 6X6 posts to create a perimeter of light around your home. Securing your home isn’t only against intruders, but for the dangers lurking in the dark. Light the way with LED post caps and other lighting techniques such as LED recessed stair lights and deck dots to avoid injuries in the dark. They not only protect tripping and falling in the dark but also provide a great look to pathways and stairs. 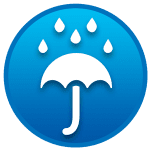 Protecting your home is also essential against the elements. DEKOR Lighting manufactures a premium line of quality products that are resistant to Colorado winters and Arizona summers. There isn’t a winter harsh enough or a summer hot enough that can damage DEKOR Lighting’s outdoor LED post caps. The post caps also serve as extra protection to the decks, fences, docks and porches they are installed on, preventing damage against the unavoidable elements! 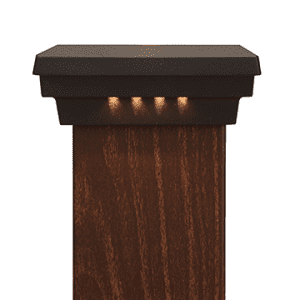 Bring the outdoors of your home to life with decorative LED post caps for your deck. A deck isn’t just an outdoor installation. A deck is a room with the best view in the house! 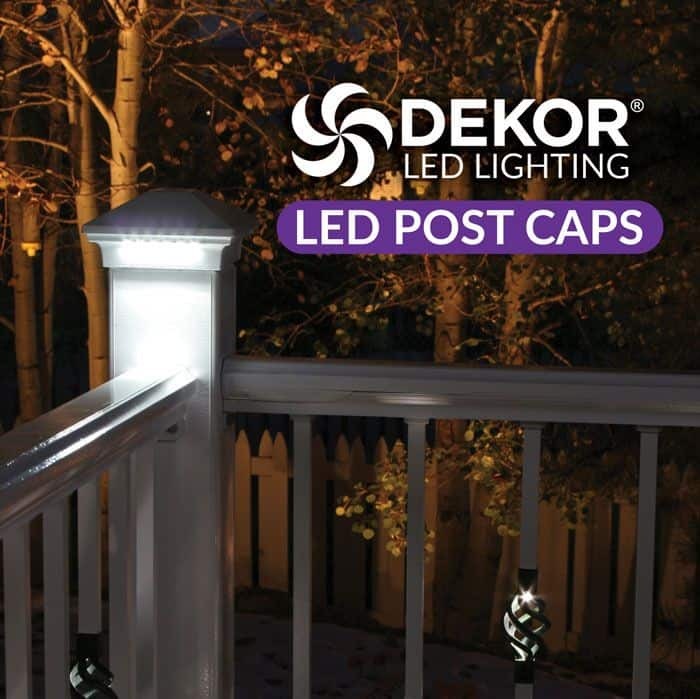 The LED post caps manufactured by Dekor Lighting are not just protective lighting components to deck posts. The decorative LED post caps serve as the overall aesthetics of the project. 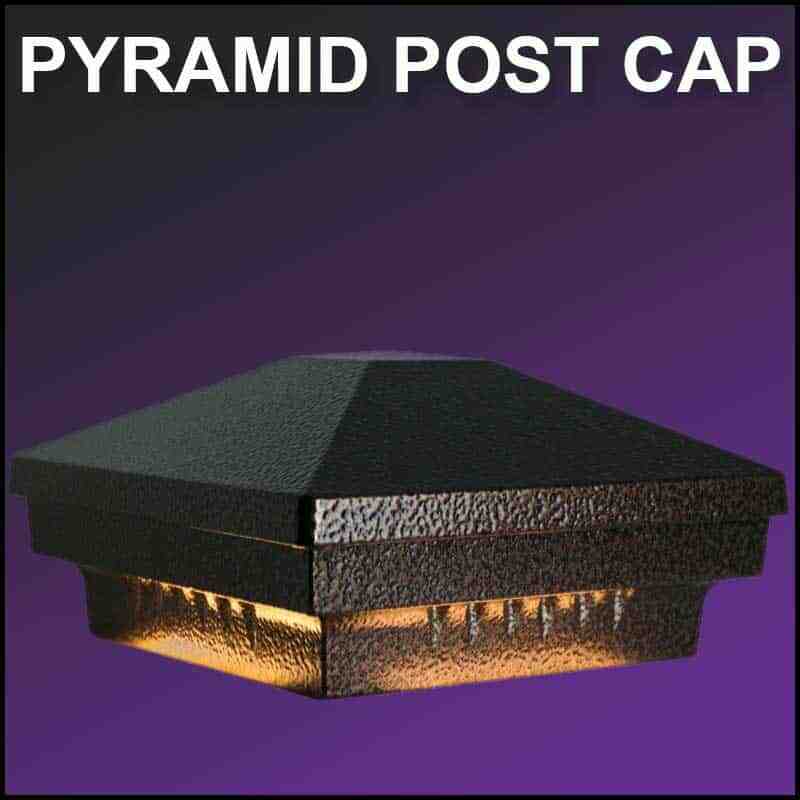 The fiercely elegant look of the post caps come in two simple yet complex shapes to add depth and a sculpted majestic look: pyramid deck post caps and flat deck post caps that integrate energy efficient LED lights to expose a pearly illumination to your deck setting. So, whether you are looking for something bold or something elegant, DEKOR Lighting’s quality, professional line of decorative LED post caps has you covered. With DEKOR Lighting’s decorative LED post caps, you will have complete control of the lighting. Each post cap includes 4 or 6 mini LED lights per size! These lights come with five lighting configurations! Light one side or all with this product! 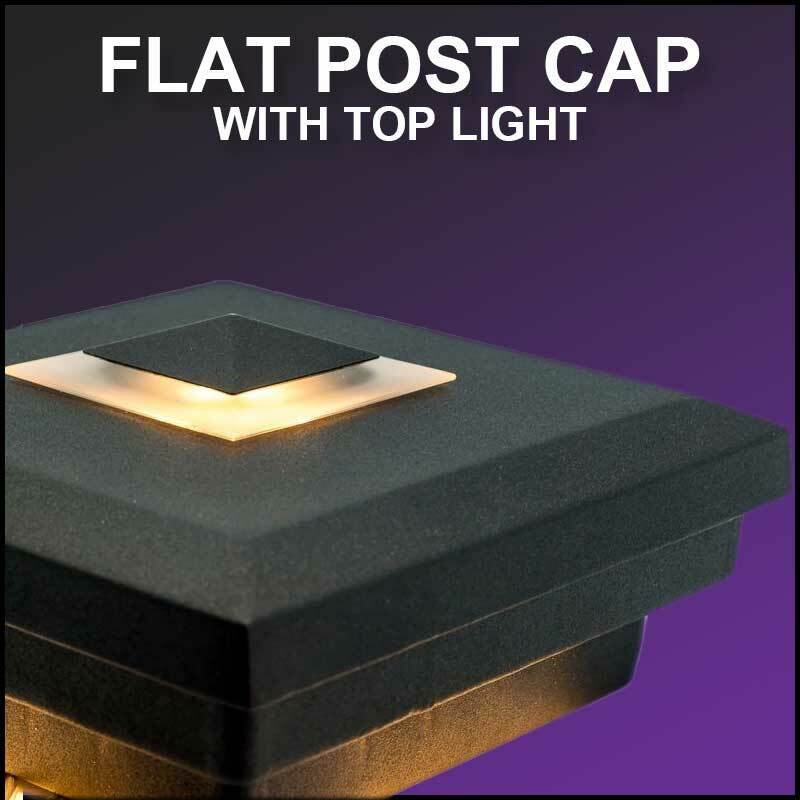 Whether you are a DIYer or a professional looking for quality products, DEKOR Lighting builds LED post caps to meet the spectacular expectations of any project. DEKOR Lighting’s LED post caps are trusted in homes, business, structures, and landscapes across the world. When you work with this company on all you home improvement projects, you as a customer, as a proud DIYer will always receive the quality components that are included in all of DEKOR’s products, which makes this company stand out among the rest. Every product produces by DEKOR Lighting is made in the United States. All products manufactured by DEKOR Lighting have a 30/10 year unconditional, no-questions -asked warranty. DEKOR’s LED post caps have a 30-year warranty. The long-life LED lights installed on the post caps come with a 10-year warranty. “We offer our warranty as a testimonial of who we are and what we stand for,” McCall said. These warranties definitely give you your money’s worth. The warranty protects against failure in workmanship and materials. Because all of the LED lighting products are manufactured by DEKOR themselves, they are able to offer the longest and best warranties available in the industry. DIYers will rest easy knowing their lighting project is protected by the leading warranty provider in the industry. DEKOR Lighting knows how each of their products are created and tested and know exactly what components are used to create their products. 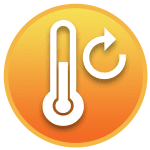 This helps to ensure that you won’t need to utilize the warranty because the company has eliminated all possibility in defect of the quality product. 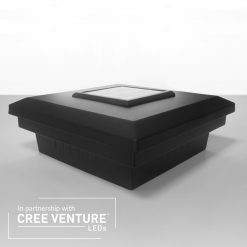 Cree Lighting is a market-leading innovator of lighting-class LEDs. DEKOR Lighting has partnered with CREE Inc., which happens to be the most trusted name in the LED industry. The company chose to partner with the company to supply customers with the best LED options available. When you choose DEKOR Lighting you also choose CREE LED lights. 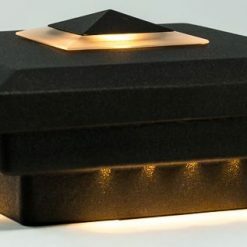 So, whether you are purchasing the striking LED post caps discussed throughout this article, or you utilize an array of products to enhance your home-lighting, you get the best performing and magnificent illumination on the market! DEKOR Lighting’s LED products are safe and efficient for all homes. The LED products are high performance, utilize energy efficiency practices to save you money on your lighting costs, have long life to save you even more money by requiring you to purchase less LEDs, and are simply beautiful for any project. 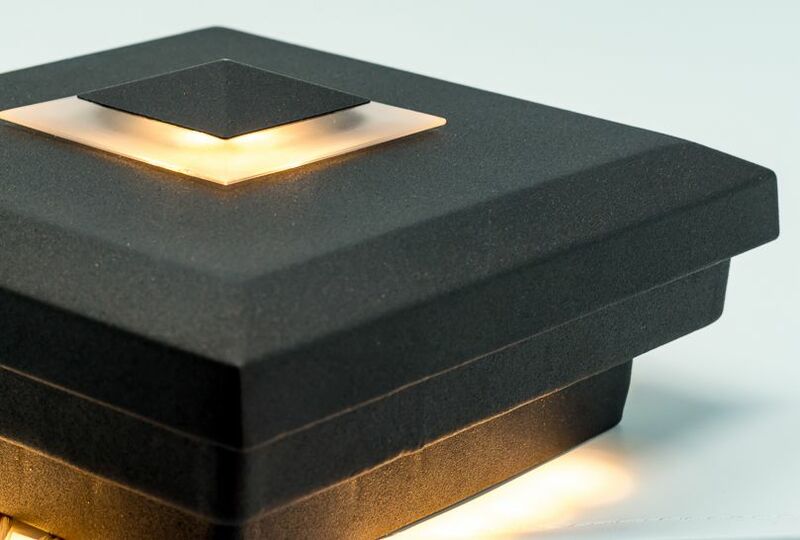 And since LEDs don’t emit heat, your outdoor lighting components won’t attract pesky flying insects when you’re trying to relax out on the deck during the evenings. The LED products are bright and have a higher color rendering index that cannot be found in your typical LEDs and other light sources. The great outdoors can be nurturing and destructive. That is why DEKOR’s LED post caps, as well as all the company’s products, undergo rigorous in-house testing to monitor and prove the quality and performance of the LED post caps, including an environmental simulation test. The products each get a final step of protection. Products are made with heavy duty cast aluminum which is resistant to corrosion. This special coat is provided by Alodine, a nonflammable, chromic acid based, coating chemical that produces chrome conversion coating on aluminum. 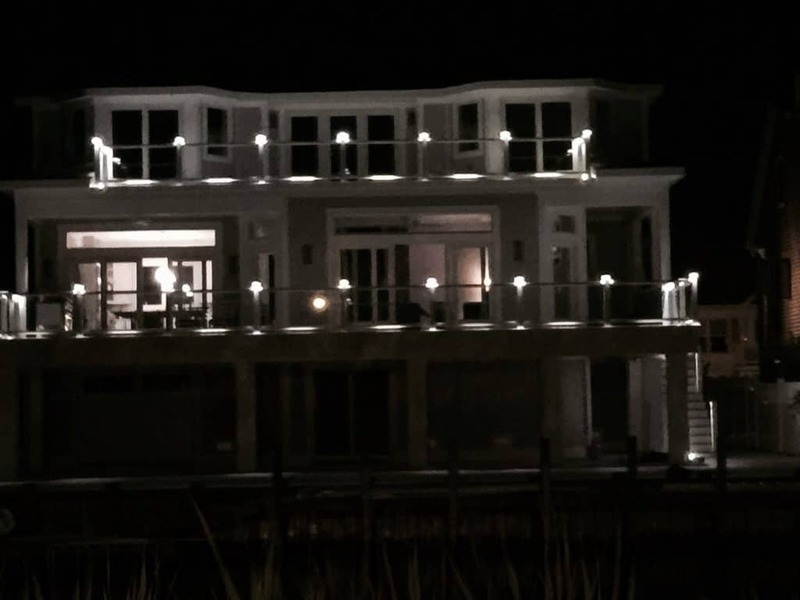 DIYers and professionals utilizing outdoor lighting products by DEKOR Lighting can trust that these products are built and provided to customers to last a long, long time. According to the company, analysis and testing is a continuous task to provide the best products on the market. DIYers will love the Plug-N-Play connectors incorporated in the LED post caps. This is great, if not the best, component to a majority of DEKOR Lighting’s products. 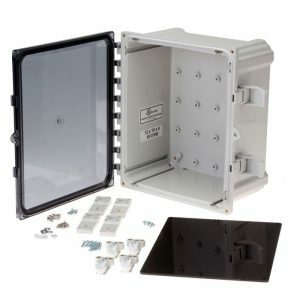 The Plug-N-Play Connector System is self-sealing which removes the tedious, and potentially dangerous, task of striping wires and wire nuts. This technology also eliminates the need to track the polarity of a connector. DEKOR Lighting has made their products, so you can have more time enjoying the product and less time on the installation. 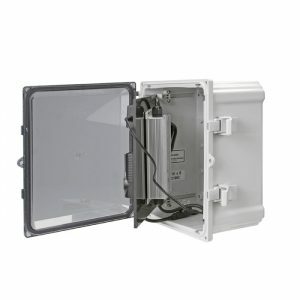 The Plug-N-Play components are also waterproof and are available on all indoor and outdoor lighting products.